Here is a fun way for students to 'discover' Pi. Introduce or review the terms diameter and circumference. 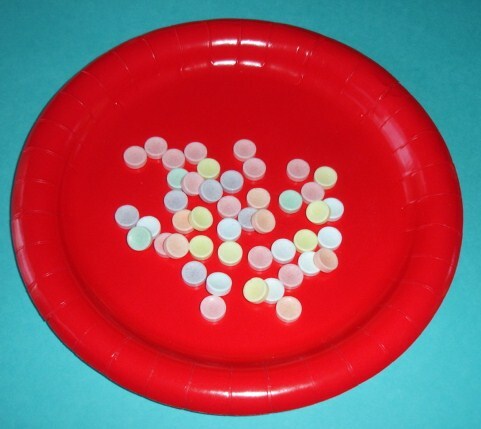 Have students measure the diameter of the 1st circle with a ruler and record the measurement. Ask students how they should measure the circumference of circle 1. Elicit from the students that they should use string, then measure the string. Have students measure the circumference of the 1st circle with the string, then measure the string with their ruler. They need to record the measurement. Have students divide the circumference by the diameter. 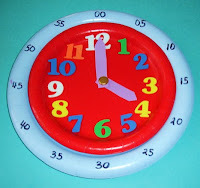 Continue with the same procedure to measure circle 2 and 3. 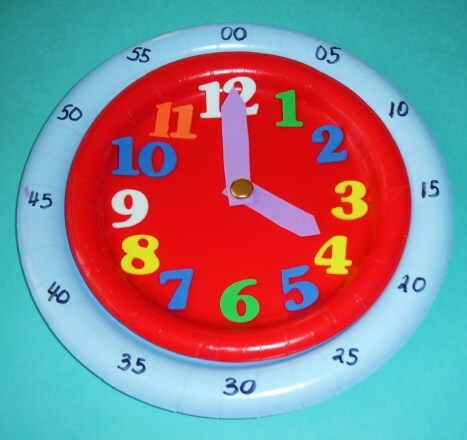 In each case, when the students divide the circumference by the diameter, they should get approximately 3.14 or 3 1/7 (or 22/7). Discuss with students how this happens with ALL circles. Introduce the term Pi and the Symbol for Pi. 10. Of course having some tasty pie would be a great wrap up for this activity! 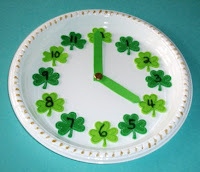 Don't forget to celebrate Pi Day on March 14 (3-14)!!! LEAP into the TpT SALE! Teachers pay Teachers is having a Sale tomorrow February 29th in honor of Leap Year! 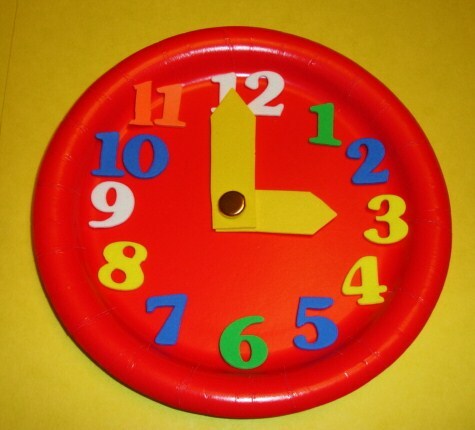 Use the CODE: L2P9Y at check out to get an extra 10% off! Plus I've put everything in my TpT store on sale also! I'm giving 20% off everything. Click here. LOTS of other sellers will have sales going on also! 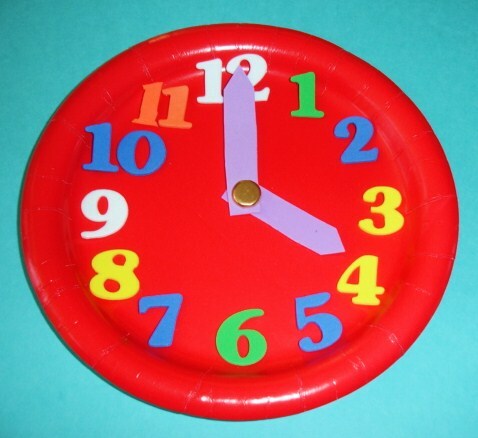 Children need to learn how to read and write TIME using Analog and Digital Clocks. 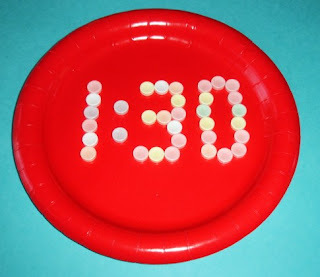 In a previous post, I shared some ways to use manipulatives when learning Analog Time. See post here. In this post, I want to share some fun manipulatives to use when practicing Digital Time. Food is a great motivator with kids! 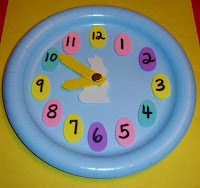 With a paper plate or napkin and some Smarties Candy, kids can have fun practicing Digital Time. M and M's and cereal such as Cheerios will also work well. Candy Hearts can also be used! 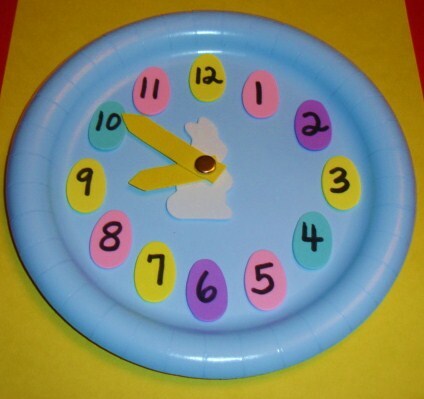 Let the kids put a paper plate digital clock beside a paper plate analog clock and have fun showing the same time on both clocks. Have fun teaching time to kids! 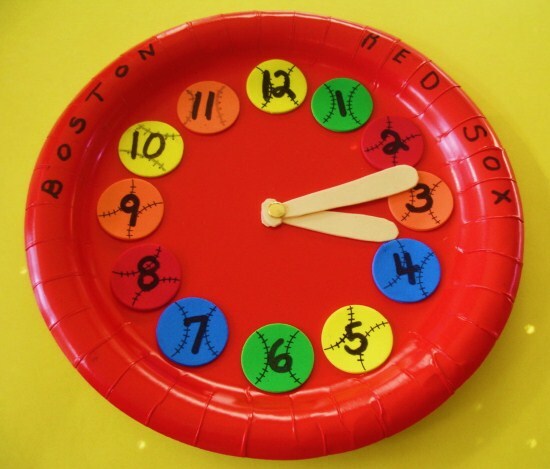 Telling Time is such an important skill for kids to learn. 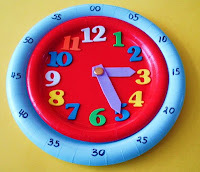 In this post I want to review (in one place) some of the paper plate clocks that were created for this month's Measurement Theme and share with you other inexpensive but cool paper clocks for kids to use as well as give you links to free online clock handouts and worksheets. 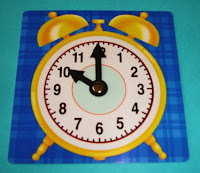 I also have links to Telling Time Videos and a Slide Show. 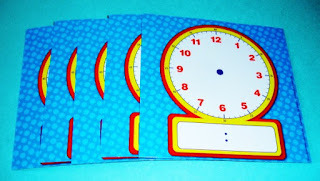 Have fun learning about TIME! Here is a Circular GEOBOARD (hands-on math tool) that can be used with kids for FUN Measurement lessons as well as geometry and other areas of math. 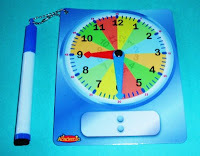 The above picture shows how kids can use the Circular Geoboard for finding the Diameter and the Circumference of a circle. 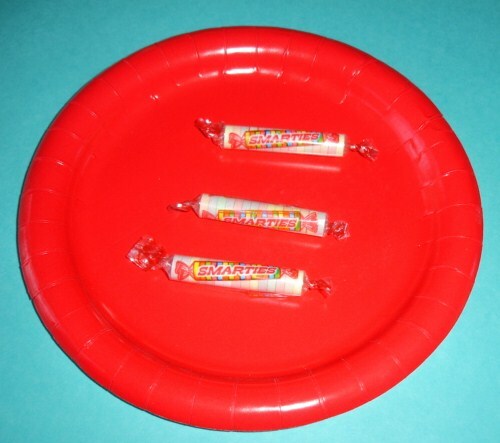 It could also show symmetry, fractions, etc. You can purchase geoboards or make your own. 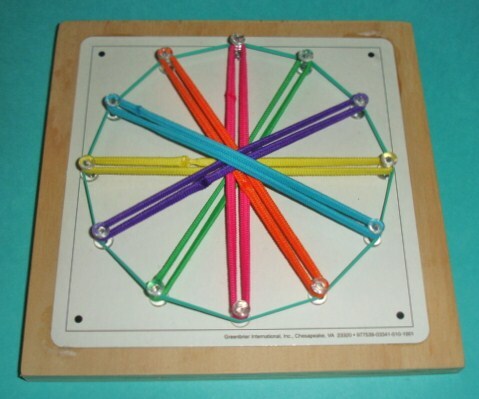 Some geoboards are double sided (a square on one side and a circle on the back). 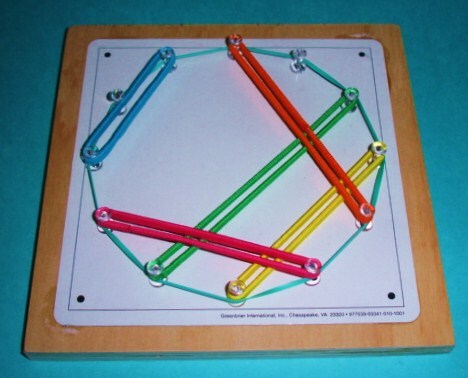 The Geoboard that you see above was inspired by my trip to the Dollar Tree. (I go often! I'm kind of obsessed!!! It's in the same mall as Michaels' Craft store and Marshalls.) 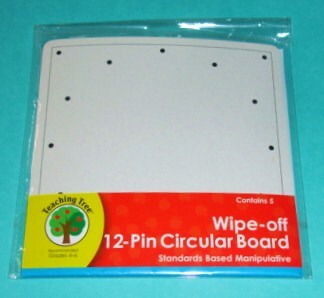 I found this great package of 5 Wipe-Off 12 Pin Circular Boards. I asked my husband for a spare scrap piece of wood. He cut a square for me and sanded the wood. 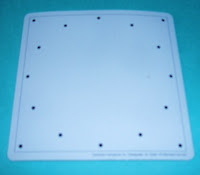 Then I glued one of the circular Wipe-off Boards to the wood and hammered push pins into the 12 dots that formed the circle. Voila, an inexpensive hands-on manipulative. You could add a push pin to the middle to demonstrate Radius. 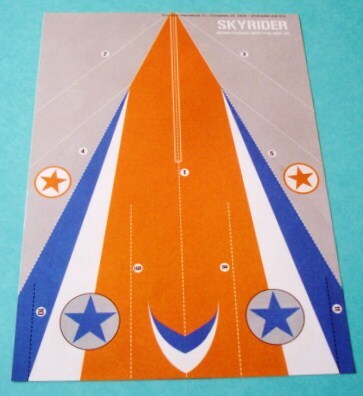 Here's a MATH MEASUREMENT ACTIVITY that involves Paper Airplanes and Measurement Tools. 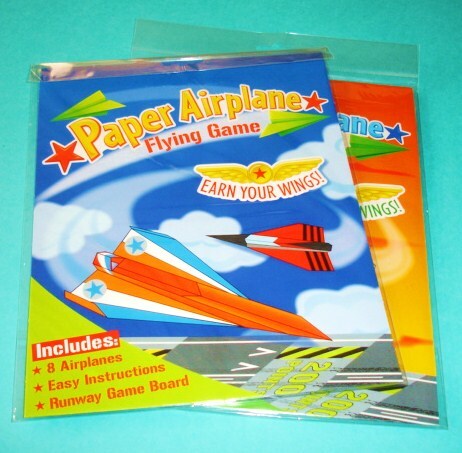 There are several different resources to use that have directions for making paper airplanes. ***You could use a plain piece of paper and view the You Tube video (below), then follow the directions. Store. 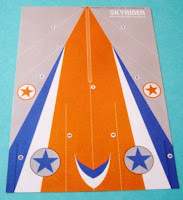 Each kit comes with 8 planes to construct and directions. *** You could purchase or borrow a book from the library that has instructions. 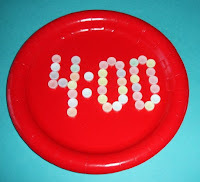 Use a piece of painters tape and mark a starting line on the floor. Have students take turns standing at the starting line. 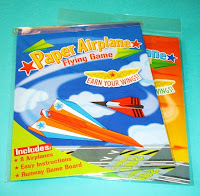 Give each student a turn to make their plane fly the farthest. 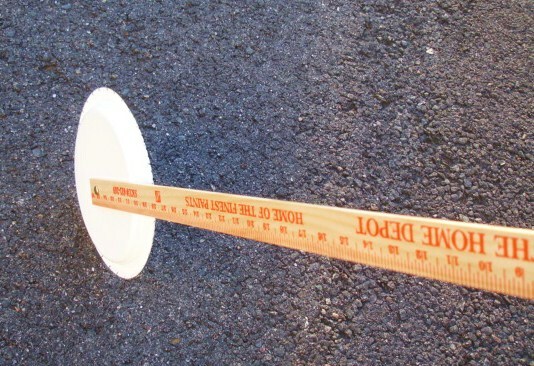 Have students use measuring tools (rulers, yardsticks, meter sticks, measuring wheels, etc.) to measure and record all turns. Students could have several turns then compute their averages. 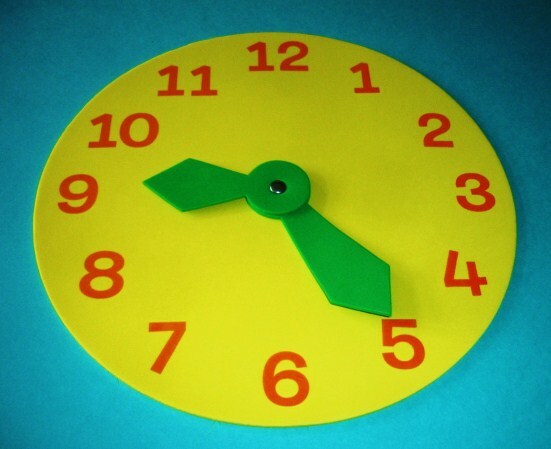 Click here for directions to make a measuring wheel. Here's a fun Math Measurement Activity and Crafts Project that involves a ruler and a jumping frog! 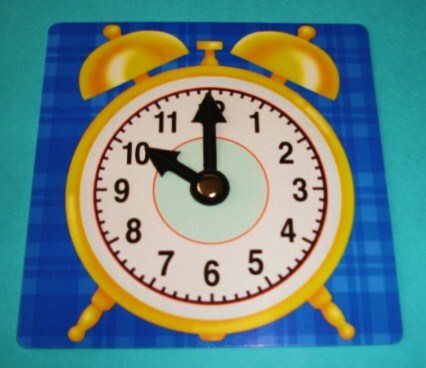 It works well for students to work in pairs (or with the teacher). Have one student hold a ruler (cm. or inch) on a flat surface (lower numbers at the bottom, of course!). Have the other student, place the frog next to the ruler then press on the bottom back edge of the frog's back and quickly let go to make the frog 'jump'. The partner can measure and record how high the frog jumped. Students can repeat this activity several times. Then they can compare and contrast their results noting the lowest and highest jumps. 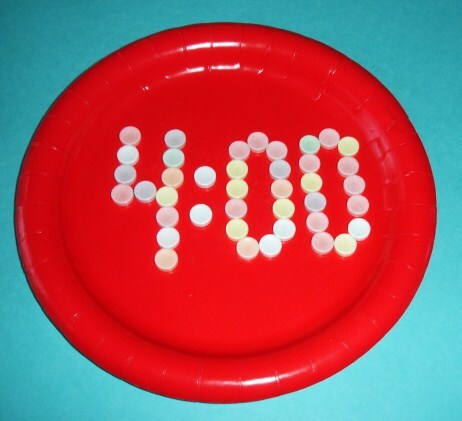 Older students can compute their averages and possibly the mean, median, and mode for this activity. Here's a slide show from Scholastic Study Jams about VOLUME. It can be used to introduce or review the meaning of Volume and the FORMULA for finding the Volume of a Rectangular Prism. There is also a short online quiz that the students can take to check their understanding. 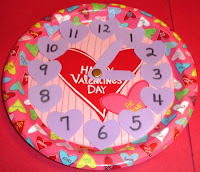 To view a fun hands-on volume activity for kids, click here. 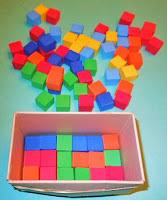 Here's a fun math activity for kids that uses a square or rectangular box and some foam blocks (cubic units) to find the VOLUME of a RECTANGULAR PRISM. 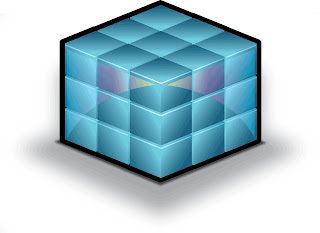 Start by showing the students the small box and the cubes. Have them estimate how many cubes will fit in the box. Have students start to fill the box by making one layer on the bottom. 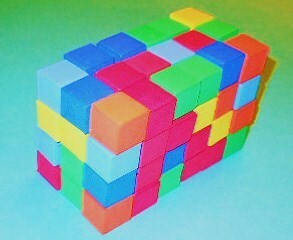 Let them count the cubes/ (cubic units). Give students a chance to change their estimate of how many cubes they think will fit in the box. Have students add another layer. Continue adding layers until the box is filled. 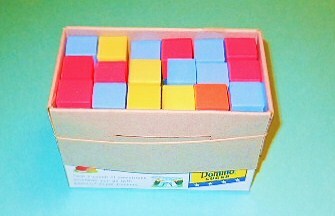 Students could keep a count of how many cubes are in the box with each layer and can keep adjusting their estimate. Students can construct the same shape without the box to better visualize all the cubes (cubic units) and layers (levels). Students can try this activity with other boxes and then compare volumes. Which box has the smallest volume? Which has the largest volume? Can they find 2 different boxes with the same volume? Younger students can count all the cubic units that fit inside particular boxes and older students could use the Formula to find the Volume of their Rectangular Prisms. 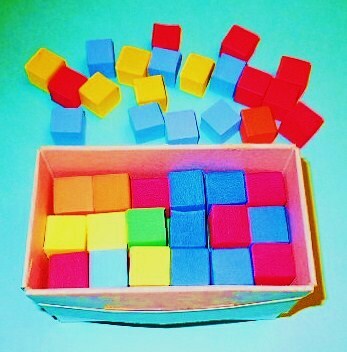 These foam cubes can be found at dollar and craft stores. Other manipulatives to use could be sugar cubes or unifix cubes. 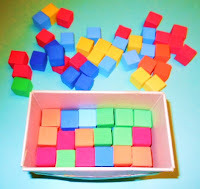 Even marshmallows (although not cubes) could be used with young students to learn about volume. To view a Volume Slide Show, Click Here. Learning about Area using Edibles!